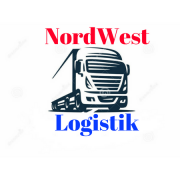 Moin, mich würde mal interessieren ob ihr eher dem LKW oder mit dem LKW unterwegs seit? Ich: PKW. Lg, Alex. Bitte nicht wundern, ich weiß nicht why er so **** schreibt. Lg, Alex. Cold&Keks Spedition sucht dringend Fahrer! Cold&Keks Spedition Suchst du noch eine aktive, freundliche Firma? Dann bist DU hier genau richtig! 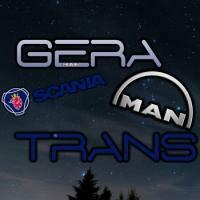 Infos über unsere Spedition: Die Spedition gibt es seit 2 Wochen Wir bestehen bis jetzt nur aus den beiden Chefs Ein Chef hat lang Jährige Ets 2 Erfahrung Was wir DIR bieten können: -Eigenen Discord-Server mit verschiedenen Bots -Eine eigene Whatsapp Gruppe(keine Pflicht) -Firmenlackierung(Im MP Pflicht!) -Freie Lkw-Wahl -Nutzung des Speditionsprogramms FPH SpedV Bedingungen: Man sollte: -Mindestens 15 Jahre alt sein(Ausnahmen möglich) -geistige Reife besitzen -Kommunizieren können via. Discord, Whatsapp - sich im Straßenverkehr gut verhalten können Jobangebote: Man startet zunächst als Probe-Fahrer, nach zwei Wochen Steigt man zum Fahrer auf und kann sich dann höhere Positionen erarbeiten. Kontaktmöglichkeit: Per Discord: [CAN] ӾVɆ₮Ɽ₳Ӿ#5044 Per Skype: kaleda2806 oder direkt unter diesem Post! Jungbluth Transporte sucht EUCH ! LKW Logistics Transportation 1 Year Anniversary Good day truckers! It is LKW´s 1 year anniversary on the 19th of April! We have decided to start organising convoys in ATS and we are going to kick this off with a truckfest on the 17th of April followed by a relatively short convoy to celebrate the anniversary. 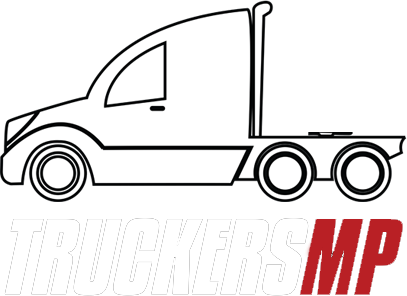 And no doubt that we will be giving out prizes during the truckfest.The reason we want to celebrate with you,the community,is to thank you for the amazing support over the past one phenomenal year despite us being a relatively small company with small presence especially on the forums. Thank you for the amazing support that you have given. So When exactly and Where? The truckfest will be held at Hornbrook (fuel station,not a NCZ) at 15:00 BST and the convoy at 16:00 BST, both on the 17th of April. It will be on ATS #2 Server. Regarding about ATS We will having regular scheduled ATS convoys on Sundays, on every alternate week. Some of you might be worried that we are going to abandon ETS but to your relieve, we are NOT going abandon the European continent and our convoys there. The convoys will keep happening at the usual time of 15:10 GMT every saturday. Side note: There will also be special convoys planned on 19th March and 9th April. What is LKW Transportation Logistics? LKW Logistics Transportation is one of the most recognised and strongest brands in Central Europe and America, well known for its blue, white, yellow and red paint job on both our Trucks and Trailers. Not just our trucks are in tip-top form, our drivers too are always consistently learning and executing tasks at their utmost performance, integrity and respect. With the perfect match of great skilled drivers and good trucks, we aim to be the best Logistics company out there. As well as running the company, we also run LET which stands for LKW Events Team. And LET has a good reputation when it comes to guiding convoys professionally. The convoy control for the convoy after the truckfest will be done by LET. Current Parking plan In order to book a spot for your VTC go to: http://lkwtr.weebly.com/anniversary-truckfest.html After the Truckfest there will be a short convoy to further celebrate the anniversary and the winners.'' The convoy will start from Hornbrook and end in Eureka. The Prizes will be given out for the following Categories: The Most Attended VTC Best VTC Parking Formation/Enterance The best Non-VTC Paintjob Best VTC Paintjob Overall Best Looking Truck More info can be found at: http://ets2c.com/view/44671/lkw-tr-elliot-coo-let-lkw-1-year-anniversary-hornbrook LKW Transportation Logistics is very proud to be in this community for this length of time and we hope to see you there!